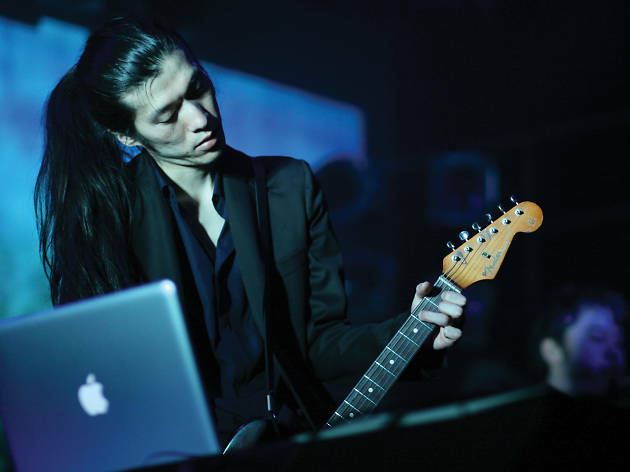 Katsuhiko Maeda is the driving force behind World’s End Girlfriend, a solo act he has worked for almost two decades. Combining ambient, electronica and even classical sounds, Maeda supposedly has a collection of over 600 compositions written since he threw himself into music as a 10-year-old after hearing Beethoven’s Fifth Symphony. Born in Nagasaki but currently residing in Tokyo, Maeda’s years of hard work have turned him into an international sensation. His instrumental complexities have graced the stages of some of the world’s biggest festivals, including Barcelona’s famous Sónar Festival. Maeda has released a multitude of studio albums under the World’s End Girlfriend moniker, each exploring a different sound. Some, like 2011’s Ending Story, are very much ambient electro. Others, such as Hurtbreak Wonderland, are delightfully skewed classical compositions. Maeda has also won hearts through his delicate soundtrack work, including Japanese film Air Doll and critically acclaimed Taiwanese fantasy flick Starry Starry Night. He also contributed a remix to video game developer Square Enix for their title Nier, which pushed its way into the Top 100 of Japan’s Oricon charts. One minute trickling down the piano keyboard, the next rumbling over almost hard-rock drum patterns, World’s End Girlfriend puts on a mesmerising live show. Maeda’s music possesses the ability to spin you from utter peace one moment to dark wistfulness the next. We recommend you plant yourself right at the front, shut your eyes and follow Maeda into his beautiful, eerie universe.